The newest additions to the closing list included stores in Eau Claire, Lake Hallie, River Falls, Rice Lake, Stanley, Neillsville and Arcadia. They are set to close by June 16, according to the court filing. Previously in its Chapter 11 bankruptcy proceedings, the company had listed 251 stores slated for closure, including the smaller Shopko Hometown store in Ellsworth. But 150 locations had been listed in early February as “go-forward” stores — including most of the Chippewa Valley ones — indicating the company intended to keep them open through restructuring. However, the company’s news release today stated it has been unable to find buyers for its “go-forward” business and canceled an auction that had been scheduled this week. While its retail stores are slated for closure, Shopko gave a glimmer of hope for its optometry services. Citing large debts and competitive pressure, Shopko filed for Chapter 11 bankruptcy protection in January, which allows companies to restructure with the goal of remaining viable and paying off creditors. 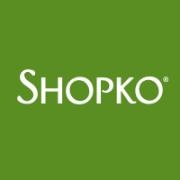 Its initial filing indicated Shopko had less than $1 billion in assets, but liabilities between $1 billion and $10 billion. To continue operating, Shopko had gotten $480 million in financing from Wells Fargo and others to pay employees, vendors and suppliers.